Perfect for keeping your home and garden looking great all year long! Add desired chemical into the tank and close lid. Pump several times to build pressure. Press and lock the button to release spray or unlock to turn off spray. 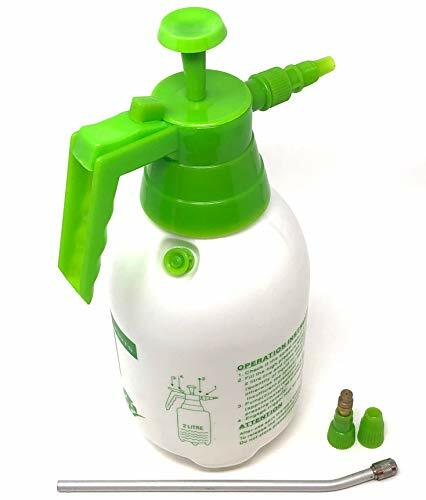 Turn nozzle to adjust spray volume. Lawn weeds: Apply herbicide either when weed is actively growing or before it emerges, depending on the weed. Read the pesticide label for directions. Dormant Lawn weeds: Apply herbicide either when weed is actively growing or before it emerges, depending on the weed. Outdoor areas: Eliminate mosquito-breeding places (standing water, weed patches, etc.). Spray resting places (flowers, shrubs, dense foliage, outdoor walls and under leaves). Foundation spraying: Spray the foundation around your house, especially in the fall. Crawling insects are less likely to cross this pesticide barrier. Spray just to the point of runoff and spray all the way around the house. Also, spray a 2- to 4-inch band of soil alongside the foundation. View More In Sprayers & Accessories. If you have any questions about this product by Könnig, contact us by completing and submitting the form below. If you are looking for a specif part number, please include it with your message.